What a delicious and filling biscuit these are. 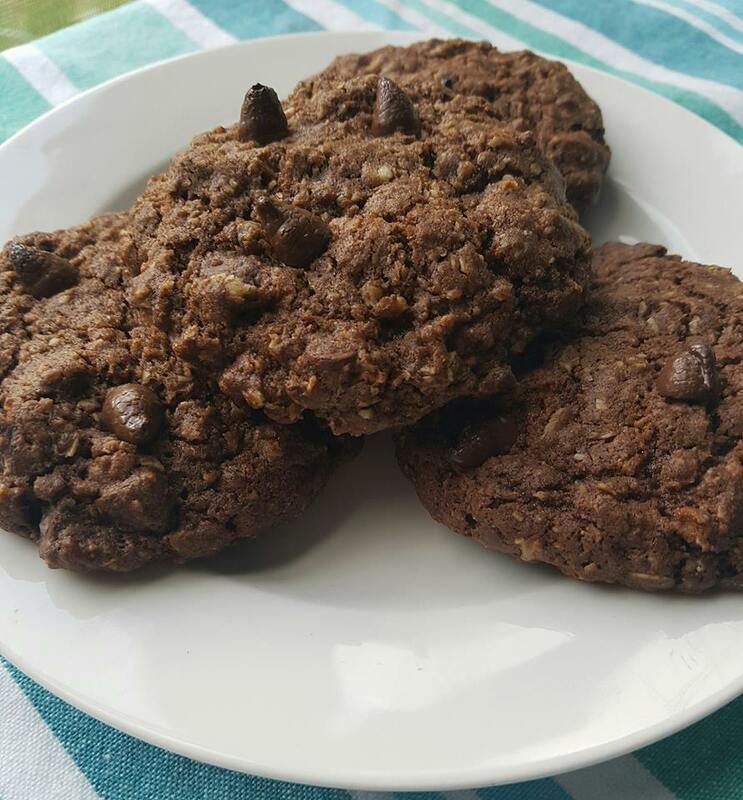 With both cocoa and choc chips, you get a lovely hit of chocolate and the rolled oats give great texture. They are almost like a chocolate chip Anzac biscuit. Such an easy thing to make in the CC. 1. Preheat oven to 160 degrees. Line a baking tray with baking paper. 3. Select Pastry P1 Time 1 minute. 4. Roll balls slightly bigger than a walnut. Place on tray and press gently to flatten. 5. Use extra choc chips to decorate each biscuit. 6. Bake for 10-12 minutes. 10 minutes for a softer chewier result. 12 minutes for a firmer, crisper biscuit. 7. Remove from oven and allow to cool on the tray for 5 minutes before placing on a cooling rack kto finish cooling. NOTE - For a vegan version change the butter to Nuttelex and replace the eggs with 1/2 cup of bought or homemade apple sauce.